"Microplastics are tiny bits or beads of plastic. These ultra-small spheres are added to personal care products as toothpaste, shaving cream, shower gels and exfoliating scrubs to give them a smooth, spreadable texture. The beads are too small to be filtered out of wastewater by sewage treatment plants, so they end up in the oceans where they are eaten by small invertebrates. If they are not excreted, they make their way up the food chain and may eventually land on your plate. Microplastics are not biodegradable, and worse, they can concentrate toxic chemicals present in seawater. They have been found in the oceans thousands of miles from land and even in Arctic sea ice. 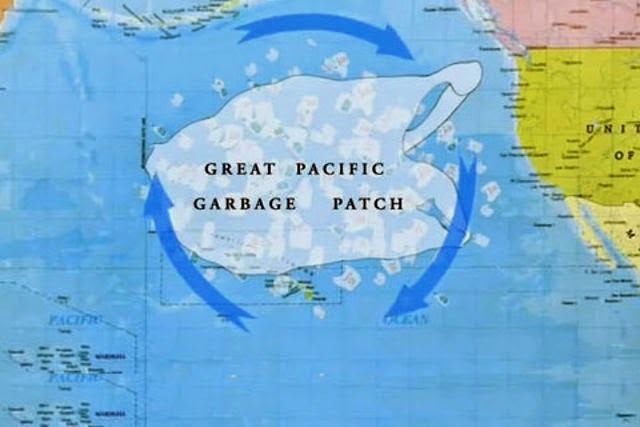 According to the SEA Education Association, an estimated 21,290 metric tons of plastic particles are currently floating in the North Pacific. 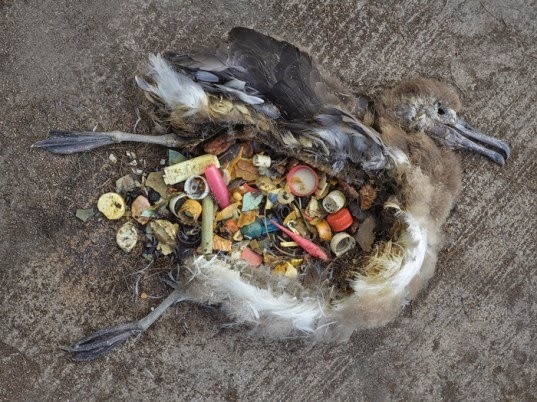 That mass of debris, known as the Great Pacific Garbage Patch, is equivalent in size to 132 Boeing 747 airplanes or 120 blue whales, but is made up mostly of very small pieces of plastic, many of which are not visible to the human eye. While we've all heard about the plastics floating on the oceans' surface, we haven't heard much about the microplastics accumulating on the ocean floor, where they also can be eaten by marine animals and start the journey up the food chain. 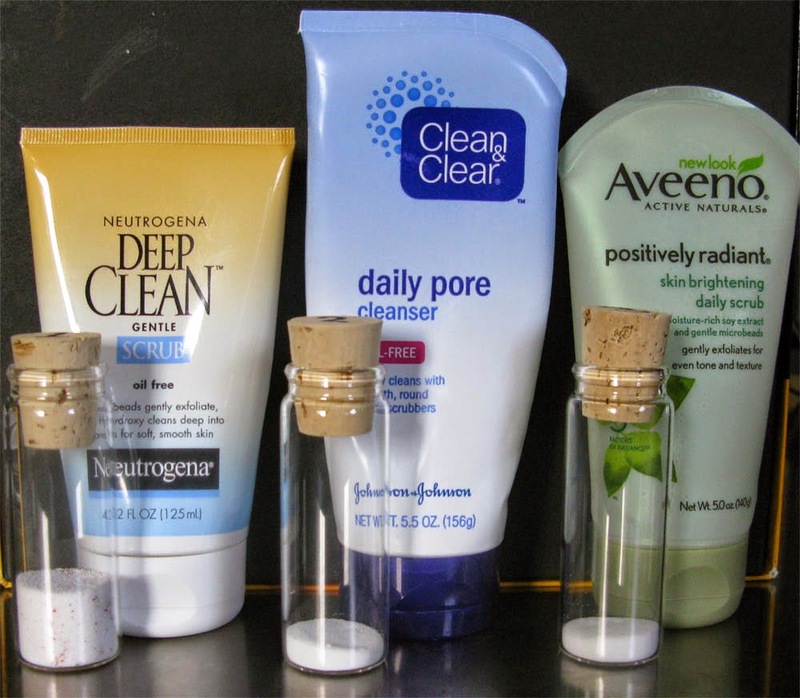 In the U.S., the state of Illinois has passed legislation banning microplastics in cosmetics products that enter the environment through wastewater, and similar legislation is pending elsewhere. Several major manufacturers have pledged to remove microplastics from their products. The European Parliament has voted to reduce the use of single-use plastic bags and phase out bags that fragment rather than degrade. As for beer, researchers analyzed 24 bottled beers bought at German supermarkets and found microplastic contamination in all of them. They also found that tap water might be contaminated with microplastics. Microplastics aren't good for the oceans and the creatures that live in them. And ultimately, they're not good for us."